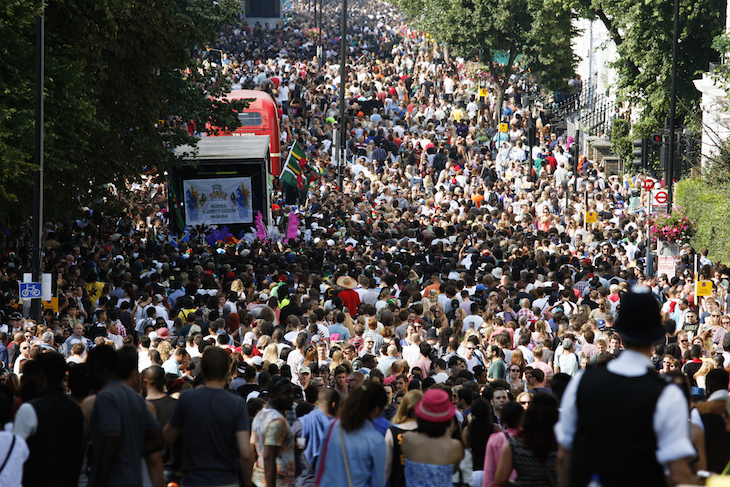 Never been to Notting Hill Carnival? Go every year and need a refresher? If you're heading to Notting Hill Carnival 2018, read on for all you need to know to enjoy the party — and take a look at the weekend's transport shutdowns before you set off. 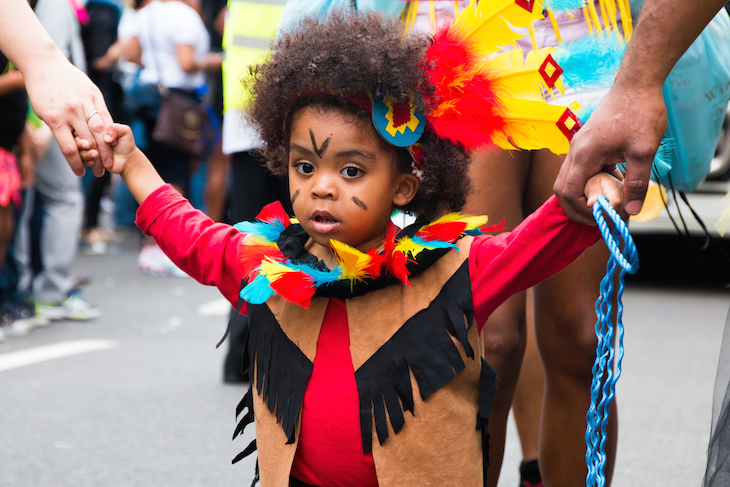 Notting Hill Carnival is a huge, free street festival celebrating the Caribbean community. It's Europe's biggest street festival, with loud music, plenty of street food (jerk chicken is a favourite), spectacular costumes and parade processions. It's been taking place since 1966. When is Notting Hill Carnival 2018? 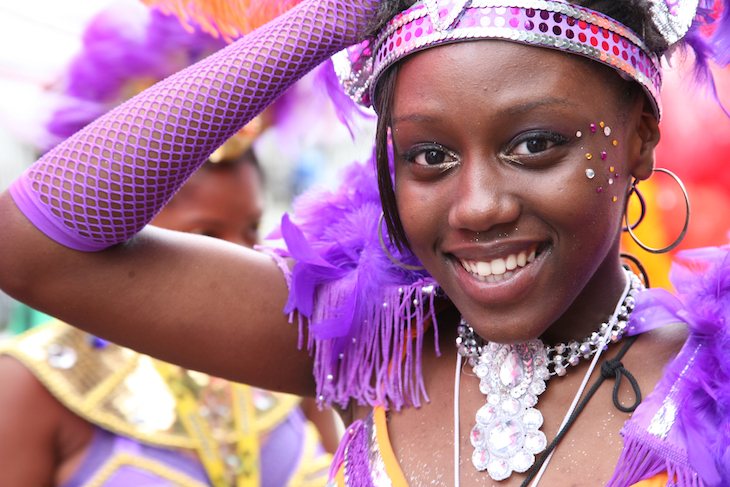 Notting Hill Carnival takes place on over the August bank holiday weekend. In 2018, this is 25-27 August, although most of the action takes place on Sunday 26 and Monday 27. Where is Notting Hill Carnival 2018? Surprisingly, Notting Hill, but it also spills out into the streets of Ladbroke Grove, Westbourne Park and Westbourne Grove and nearby. Vast swathes of W10 and W11 are pedestrianised to cope with the sheer numbers of people. Follow the crowds, the music and the street food smells — you'll find it. How do I get to Notting Hill Carnival 2018? The Central line will be open for the whole weekend for Queensway, Notting Hill Gate and Holland Park, and the Circle and Hammersmith & City lines will be serving Westbourne Park, Ladbroke Grove and Latimer Road. BUT, be aware that these stations (and neighbouring stations) may be closed at any time due to overcrowding. 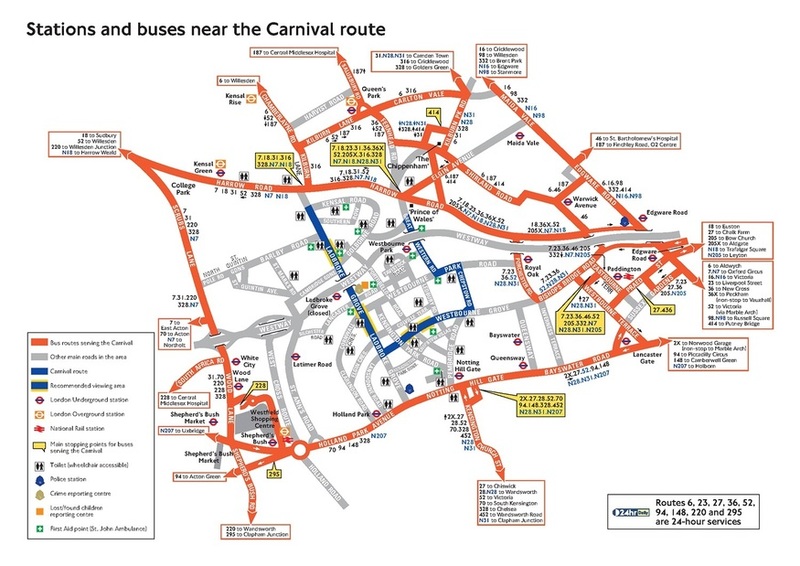 If you're coming by bus, be aware that roads around the carnival area will be pedestrianised, meaning that buses are rerouted and may terminate early. Whatever route you're taking to carnival, expect it to be a bit of a party in its own right. Drinking alcohol is illegal on public transport, but this isn't particularly enforced when Carnival enters the equation. Image: TfL. Click to enlarge. What's on when at Notting Hill Carnival 2018? The events begins on the evening of Saturday 25 August with Panorama, a family-friendly event in Emslie Horniman Pleasance Park, near Trellick Tower. This event kicks off Carnival every year — expect live music from steel bands, and an all-round Caribbean atmosphere. Sunday is family day, so it's calmer than Monday — but it still gets very busy. The day begins with the terrifyingly early Jouvert Carnival in Ladbroke Grove at 6am (yes, that's 6am), with steel bands and African drummers parading through the streets. Bet the neighbours love that. From 9am, the children's parade takes place with younger performers dancing through the streets (route map here). Family workshops take place at Emslie Horniman Pleasance Park, along with Caribbean food and drink stalls. Today, carnival goes big. 60 bands in spectacular costumes wander through the streets in the main parade. The entertainment on the World Music Stage continues from yesterday, and those sound systems are still pumping out huge tunes. Full details of the schedule are yet to be announced. 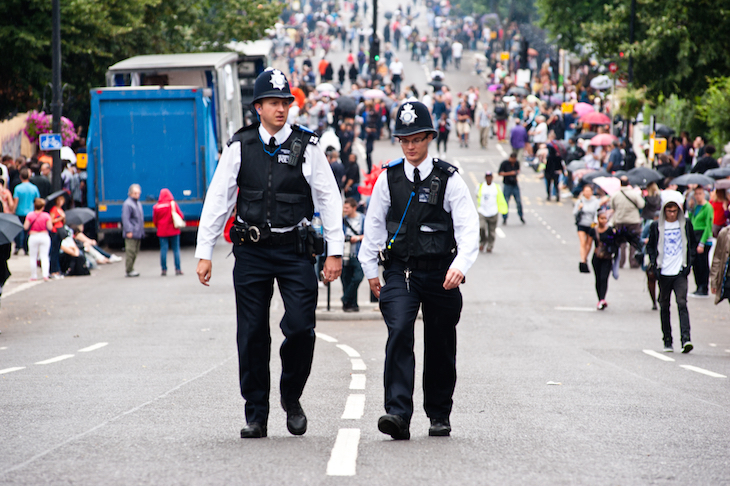 What facilities are there at Notting Hill Carnival? Toilets are dotted about in the form of portaloos but the queues are loooong. Something to think about before you have that second drink. The rush for toilets usually leads to some enterprising locals charging for entrance to their home, taking advantage of those who've had one too many cans of Red Stripe. It's also worth carrying your own tissue/hand wash options with you. 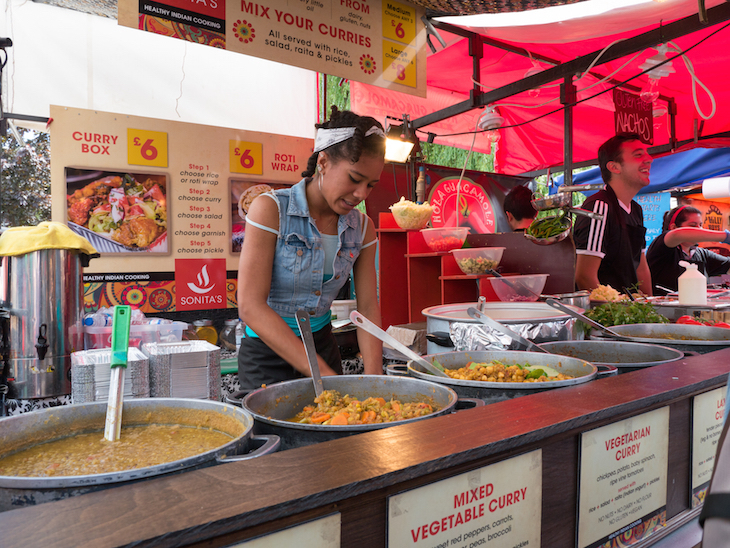 Food and drink stalls are dotted round, focusing mainly on Caribbean food (curried goat, jerk chicken) but other cuisines have crept in too. Again, expect to queue in the main carnival areas — and bring cash. How do I dodge the crowds? You're joking, right? This is Europe's biggest street festival with 2 million people attending every year — dodging the crowds isn't an option. If you're bringing kids, stick to family day on the Sunday, and keep them close to you. If you need to bring a bag, make it a small one (the crowds and noise are a pickpocket's paradise). If you're meeting someone, meet them well outside of the Notting Hill area — once you're in the throng, you've no chance of spotting them. Bring cash — many of the food and drink stalls only take cash, and local cash points have long queues (or run out of cash entirely). That said, we've noticed street food stalls generally leaning more towards a card-only stance in the last few months, so make sure you've got that option too. Dress for all weathers — sunshine and showers — and wear comfortable shoes for all the walking. You won't have much luck with mobile phones — with so many people in such a confined area, the struggle for signal is real. 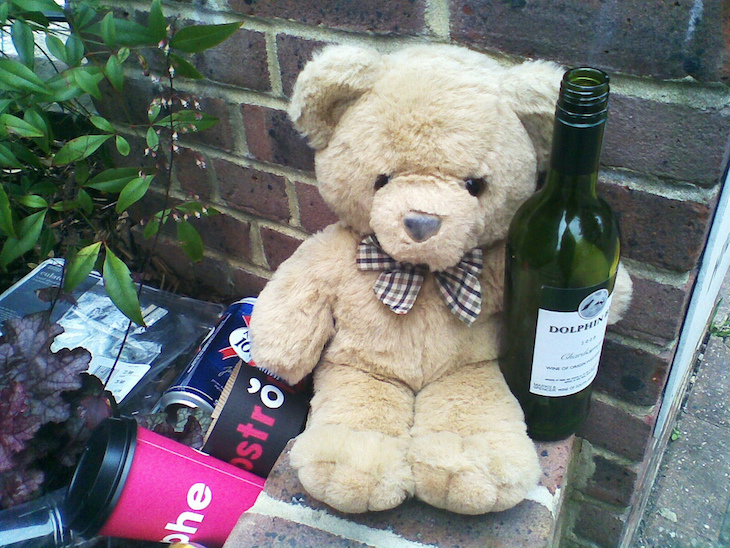 We repeat: do not try and meet up with anyone at carnival itself, it's not worth it. The official programme of events is great, but don't be a slave to it. 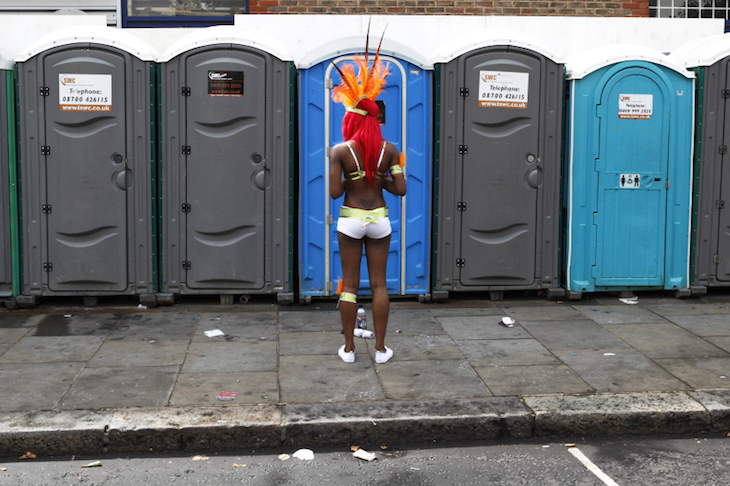 Magical moments happen every year at Carnival from the unlikeliest of sources. That might just be a guy with a rickety looking soundsystem in the street, blasting out absolute bangers. It's not worth trekking across the Carnival and missing them if you're having fun right now. The key is to go with the flow. Also keep an eye out for that elusive Notting Hill Carnival classic moment: Police dancing terribly to reggae. Hits the headlines every single year (although we're praying the Met will up the ante and go for a lip sync battle instead this year). What about the after parties? Plenty of venues all over London host Notting Hill Carnival after parties, most of which take place on Sunday night, before the carnival's even over. This year, pick from parties at Ministry of Sound in Elephant & Castle, The Macbeth in Hoxton, Tropicana Beach Club in Covent Garden, 100 Wardour Street in Soho, Fire in Vauxhall which hosts both a launch party and an after party, The Bussey Building in Peckham, The Steelyard in the City and plenty more. Find out more about Notting Hill Carnival 2018 on the Notting Hill Carnival website.